Old Support Topics :: Bbcode Web Tags? 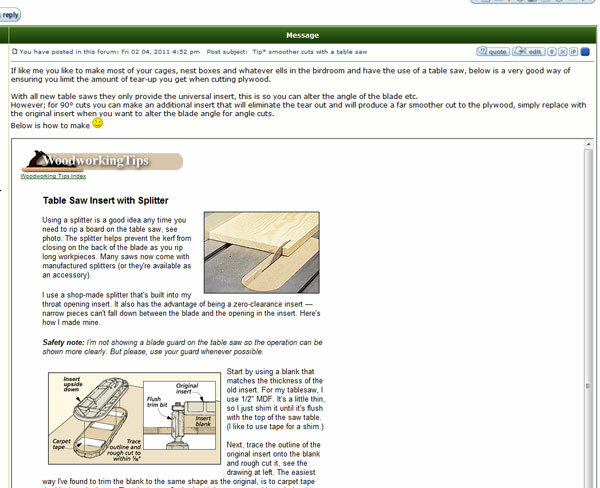 Could anybody please tell me how to ad a web tag to the bbcode list so I can post web pages within a post. There's something in the docs about how to add bbcode tags etc - might not be anything specific to what you actually want to do? But I do know one thing, and that's Icy Phoenix doesn't use the standard phpBB bbcode script. I've looked at how the Icy bbcode is applied - if you get stuck - yell out, and I may be able to help! Thinking about this after a couple of beers! Page Url would have to equate to <iframe src="Page URL" width X height etc, with the no-scrolling attribute applied or something very similar.? Because I can't see how else one could import a url and open it in the text area - Unless I'm missing something? And from what I've read here - Icy Phoenix has no provision to allow <iframes. - In fact it appears they are dead set against it and don't cater or allow for it. Could be wrong - But that's how I read it! The feature is used on integramod 2. The web tags are a really useful tool as it means members don't navigate away from your site, ill have a nosy see what I can find..
Below is a pic of how it looks when you post a web page, if its not possible Ill seriously miss this feature as we use it a lot..
actualy, the new long awaited Icy version( svn at the moment), includes an personalized BBcode option. Stand by because I think I can run something to test if this is going to work with Icy Phoenix? Have a play with this using the [flash] tags, see what you can come up with as the best optimal sizes etc, then it can be written up with its own bbcode script. A couple of links that will help. CUSTOMIZATION - Adding Video BBCode And Buttons To The Editor. Though this one advocates NO IFRAMES - It appears it's directed at adding script in iframes to the text area, rather than just linking. I'm not doing much at the moment, so I'll probably have it written up by the time you get to it. Instead of modifying the flash bbcode (which may lead to errors while using the TRUE flash tag for real flash content), why not simply add a new bbcode or upgrade your version in order to use the " custom bbcodes " available ? It wasn't intended to modify the Flash Code, it was ONLY used as an example to see if Icy Phoenix would parse <iframes. I've asked MG for some help because I'm having trouble parsing any changes I make to pop-up prompts by way of width and height. It doesn't matter how I add the variables or change the arrays in bbcode.php - They parse into the post, but I cannot get the changes to parse into the db with the string changes. And I've just realised that I was ONLY Previewing them - Damn, maybe that's the problem! Anyway - I'm open to any suggestions if anyone wants to add the extra code here while I'm trying to sort out bbcode.php. This all works - But it's hard-code for height and width - That's what needs fixing! Well It's working in a fashion as I can adjust the width but not the height. Time to give it a break for a while I think. But don't let that stop anyone who knows more than I do (Which is not much) from helping with this. If I change either value above 450, the whole thing stuffs up - What's holding it down and where it is - I have not got a clue at this moment. But if I hard-code it with this - width="800" height="600" - That's what you get! Though 700x700 fits better. Honestly I would not add such a BBCode unless in some way restricted to administrators or people you are trusting blindly. 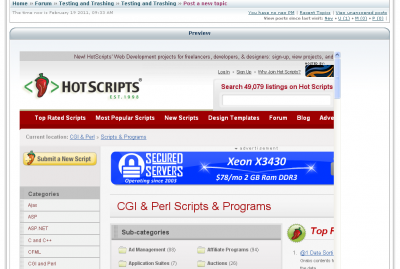 The reason is that you can add almost anythin in an IFRAME even evil scripts which could harm your visitors... I wouldn't risk that honestly. In dev version of Icy Phoenix it should be easier get what you need because I have coded (I hope properly, but not fully tested so far) an option to allow HTML to administrators... anyway, you are asking something for the old version. I could always add the code to it <!-- IF S_ADMIN This <iframes code - <!-- Else Nothing etc or maybe echo ADMIN ONLY TAGS! etc, etc. All in php of course - not constants. I also think I'll settle on this as the maximum because it's adjustable and it should be big enough! Unfortunately it would not be that easy... I know it's tricky, I've dealt with it in the past. You know what will be the result of your code? Everyone could insert IFRAMES but only admins will get thet when they visit the topic... and it is not what we wants. We need to check the permission when adding the BBCode to DB and then display to all users... we just need to check that who added the content had the right permission for doing that. Anyway, the topic you linked "BBCODE - CUSTOMIZATION - DANGEROUS - How To Allow IFRAME And Full HTML Parsing" should do the job properly (you can call it WEB if you don't like IFRAME, but the result is the same). If you now just need help with the JS to add also Width and Height parameters, I'll have a look and report back. As an unauthorised logged-in person trying to hack the web tags. And strip the quote as well. All I get in the post is. All I get in return for the post is. So I can't see how it's going to parse the <iframe html into the code tags when I'm anything other than an ADMIN or MOD. I tried that too with the user both adding tags and quoting Admin. When the "User" posts or quotes the [web tags, they are invalid because he or she can't call the $html to add the <iframes whether it's quoted or not? Oh oh - Unless it's because I'm using 127.0.0.1 and being denied - but I have no way to test that live!